You may have seen my recent blog on making the move from Windows Phone and I really was unsure whether to switch to an iPhone or a smartphone running on Android instead. After a lot of thought and trialling a number of devices, I decided to make the switch to Android. 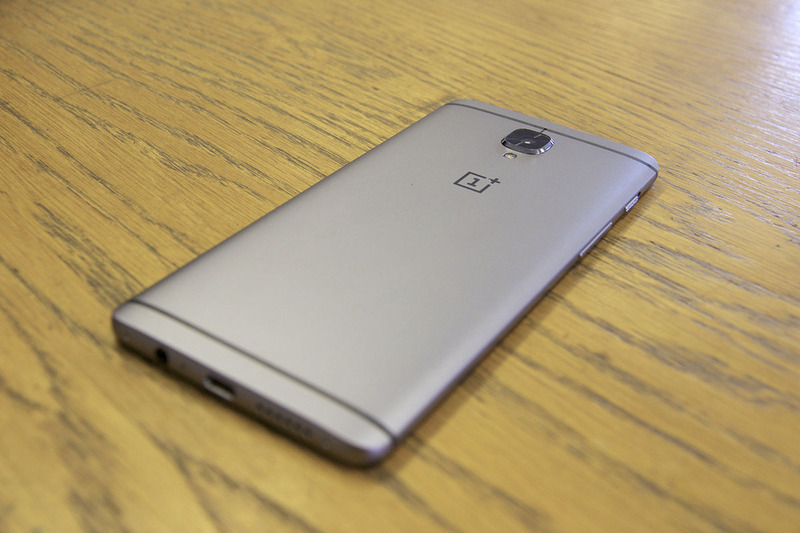 More specifically, the OnePlus 3. I'll start off with my reasons of moving to the Android operating system and why I moved away from Windows Mobile, before discussing the smartphone itself. When I was using Windows Mobile, my phone choice came down to the fact that I am an ambitious videographer. The cameras on the Microsoft (formerly Nokia) Lumia smartphones were second to none. More recently they allowed up to 4K resolution and full manual control of focus, shutter speed and ISO whilst recording, but more recently I came across a number of issues, not with the camera itself, but the lack of apps and processes that were available for editing video and uploading it to YouTube or other social networks. Yes, in later versions of the Facebook app for Windows Mobile you could upload video, but regardless of your internet speed, you could end up waiting for hours before it would appear on your timeline or the upload would just end up failing for no reason at all. Not great when capturing those spur of the moment videos. As smartphones are becoming more advanced almost on a daily basis, so are the cameras on the likes of Android and iOS. Android had the edge on this one. Although iPhones do have fantastic cameras, they don't offer much in the way of manual controls. With Android however you have a whole host of manual controls through both the native camera app and third party apps readily available on the store too. When it comes to the general usability and interface of the operating systems themselves, iOS and Android do vary quite significantly. Android is more PC like than iOS, in that its interface and basic features are generally more customisable from top to bottom. iOS on the other hand features a uniform design and being less customisable sees it as being more user friendly. For those that are new to using touchscreen devices or prefer to use something that is uniform across the platforms with minimal chances of something going wrong an iPhone is more favoured as it is far more intuitive to the touch. With Android on the other hand, the customisability is almost limitless and as the software is open source, it allows developers and enthusiasts from all over the world to develop applications to meet anyone's needs. You are not limited to one specific device when it comes to Android either. A variety of manufacturers from the likes of; Samsung, HTC and Huawei, develop smartphones to run on Android and with that you can choose a device that specifically meets your needs. If you are looking for something purely for sending texts, making calls and capturing the odd photo now and again, there are plenty of low cost devices to choose from. If it is something with a high end camera, fast processor and capable of running multiple tasks simultaneously then there are more expensive devices to choose from too. When it comes to the iPhone however, there is really very little to choose from. And due to the devices only containing high end features they always come with a hefty price tag. It is likely that many of you have not even heard of OnePlus. The company itself, a Chinese smartphone manufacturer, is only in its third year of trading but class their phones as "flagship killers" and rightly so. The company's overall goal was to design a smartphone that would balance high-end quality with a lower priced than other phones in its class. The first two devices launched by the company, the OnePlus One and OnePlus Two, were available on an invitation-only basis. With the release of the OnePlus Three however, the Invite Only System was removed, meaning anyone and everyone could purchase a OnePlus 3 from the day of release. I jumped at the opportunity. Not only did the OnePlus 3 pack hardware that matched, if not exceeded that of other industry leading smartphones such as the Samsung Galaxy S7 Edge or the iPhone 6S, it was available at almost half the price. Although the phone itself doesn't turn heads like Samsung's Galaxy S7 Edge, it does feel very well built and aesthetically pleasing in the hand. It is thin, but not too thin and has done away with plastic materials used on previous versions to use a full metal body instead. Exactly what you would expect from a premium device. OnePlus have included all of the tech that you would expect from a smartphone of today; a fingerprint scanner, NFC for tap-to-pay payments, and a high quality 16MP/4K camera on the back. The processor matches that of high end Android equivalents, but the 6GB of ram exceeds that of any other smartphone currently on the market. The most important factor for me though was how well the OP3 would perform. Would it crash under heavy use? Or restart without warning halfway through an email? Or generally become slow with apps running in the background? Being new to Android I was a little sceptical, but so far my experience has been great. The interface has been fast and responsive and handles everything from messaging to gaming with no performance issues or hiccups, but will this change as the device ages? Only time will tell. So far the Android operating system has been an eye opener for me. It has been surprisingly intuitive to use with a whole host of apps that just weren't available on Windows Mobile, such as; Android Pay, YouTube and Snapchat. More importantly, the camera itself works very well and is capable of capturing some great photos and videos with a vast array of video editing apps available, which I am still yet to try out. Also, unlike many other manufacturers using the Android operating system, the OP3 has very little in the way of bloatware (apps that a preinstalled by the manufacturer that have little to no use and take up unnecessary storage), which means the phone just works straight from the box. One of my most favourite features however, and probably one that is least "tech" related, is the fact that OP3 came with a screen protector already fitted, which meant no need to aimlessly attempt to apply one myself only to find there was dust left on the screen resulting in bubbles appearing all over the place. As with any device, the OP3 is not without its issues, but thankfully they are only minimal and barely affect the phone in general use. Most Android phones on the market have the ability to increase storage through the use of a Micro SD, the OP3 however does not. With 64GB of storage available and Cloud storage becoming far more easily available with increasing internet speeds, it is unlikely that this will pose as a risk anytime in the near future. Although not yet confirmed with the OP3, but based on previous versions of OnePlus phones, there was an issue with a delay of updates to the devices. Updates to newer versions of Android were released comparably later to the OP1 and OP2 than other Android phones. I am more than happy with the choice that I have made with both the phone and the operating system that it uses. I now have a phone that not only feels and looks premium, but has also given me the ability to access a limitless range of apps that I couldn’t access before. These apps assist with everything from video editing on the go to making "tap-to-pay" payments when I have forgotten my wallet. However, my choice of smartphone and operating system purely came down to me as a person. The features that are available and the way that it works were ideal for me, but may not be the best match for someone else. If you are looking for a new phone, whether it be iOS, Android, Windows or anything else, then I recommend that you have a go at using each of them to see which the best fit is for you.